Trees are important to our environment, our landscapes, and to our health. They supply us with shade during brutal Texas summers and oxygen year-round. Additionally, trees provide shelter to small animals and help clean our atmosphere. Since trees are so important to our everyday lives and to our world, it is important to take care of the trees and maintain their health by periodically pruning them. 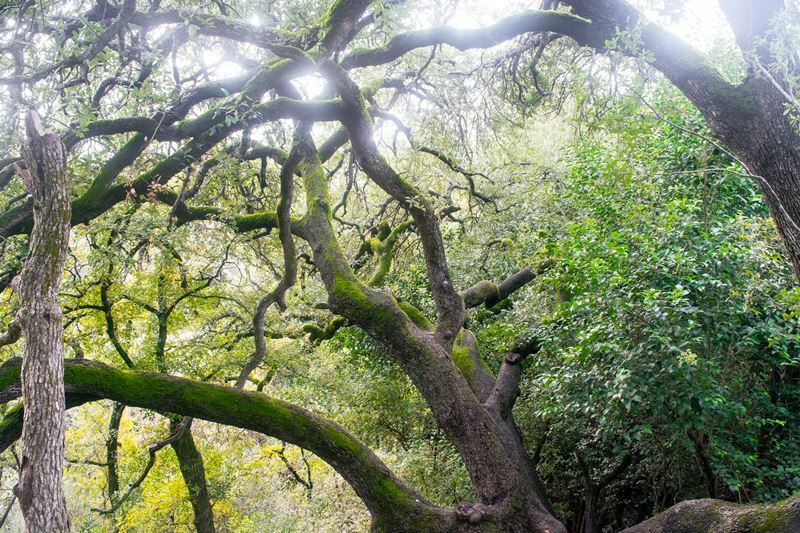 Older oak trees generally require little attention. However, younger oak trees may take years to reach maturity because they tend to grow much slower than other trees. The key aspect to maintaining an oak tree is knowing the right time to prune the tree, especially if the tree has not yet reached maturity. It is equally important that you are using sharp pruning tools and removing less than 25% of the branch growth to reduce tree stress. The worst time to prune a tree is in the spring time, when the Oak trees are more susceptible to diseases and fungi such as oak wilt. Oak wilt is a disease easily transmitted from tree to tree by beetles. When an oak tree is cut in the spring the cut will ooze sap, attracting the beetles and thereby infecting the tree. 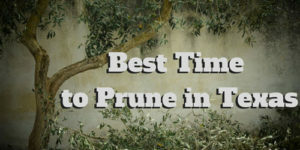 Generally, the worst time to prune trees in Texas is between February to June. However, this range greatly depends on your climate and the temperature. To avoid the problems of oozing sap and attracting pests such as beetles, it is best to trim your oak tree in the middle of winter, when bugs are dormant or frozen. Your oak is much less likely to contract illness and be infected by fungi during these times. The winter time is also a great time to prune trees because it allows the tree to naturally begin the healing process. During the transition from winter to spring, sap begins to flow through the tree branches and seal the wound. From a more technical viewpoint, pruning trees in the winter is much easier than during the fall or summer months because the tree will have fewer leaves. A tree with fewer leaves is much easier to trim because you can see what you are cutting. Make sure to check your area’s weather forecast for the upcoming week or two. Texas weather is often extremely unpredictable and you would not want to trim your tree one day only to find out that a heat spike is just around the corner. If this happens to you, use a tree wound sealer (available at most retail home improvement stores). If your tree experiences damage or injury to a wind or lightning storm during the spring time, use a tree would sealer to cover the wounds and prevent oak wilt. Trees should be periodically pruned to maintain the health of the tree. However, there is sometimes a need to trim a tree because it poses a threat to others’ health and safety. 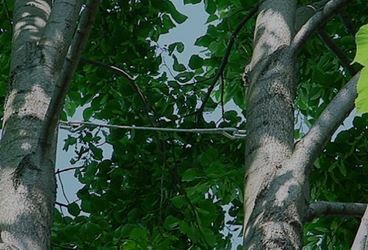 If tree branches are running dangerously close to electrical wires or hovering over a roof, contact a professional tree trimming service. Call today for more information about our superior tree service, pruning service & tree removal in Austin. The arborists at Happy Tree Service know the trees in Austin. 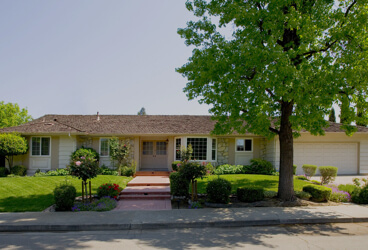 Your tree trimming or tree cabling service requires a level of care to maintain their safety and aesthetics. Proper pruning is done with an understanding of how each tree responds to each cut. 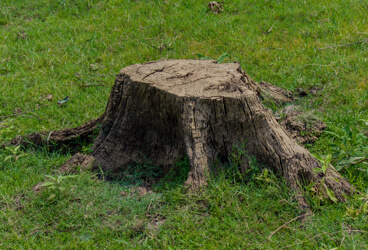 Our Austin-based professional arborists have the training, experience, and equipment required to remove any tree in a safe and efficient manner, and we always clean up the work site to preserve the integrity of your property. Happy Tree Service installs cables and braces to provide structural support to valued trees. Properly installed and maintained, these support features can extend the life of a tree by decades, thereby preserving the aesthetic charm of your property.